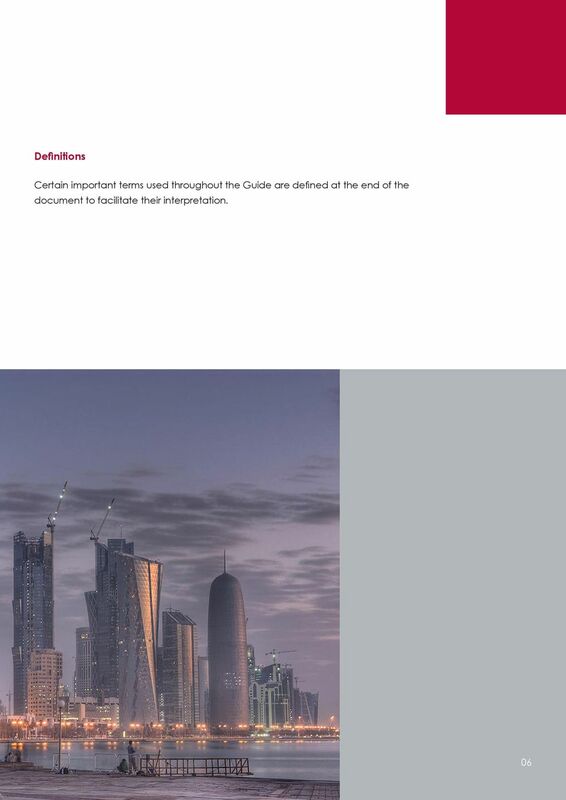 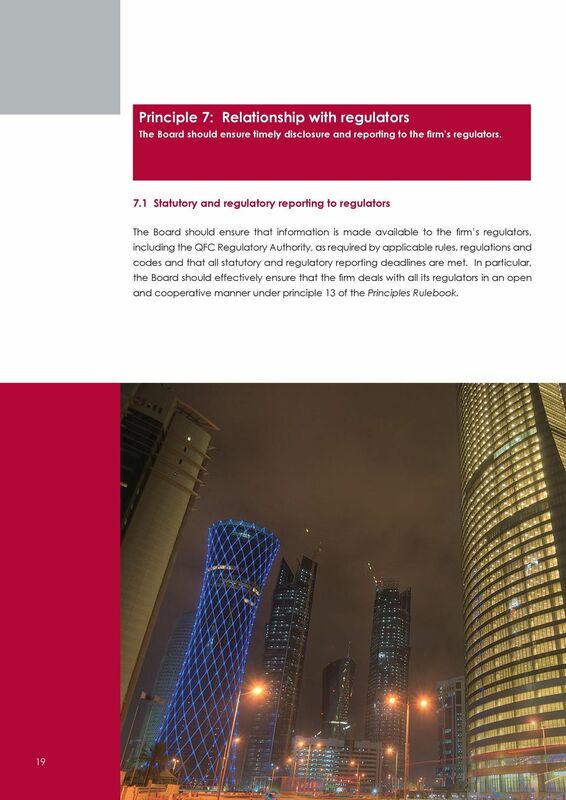 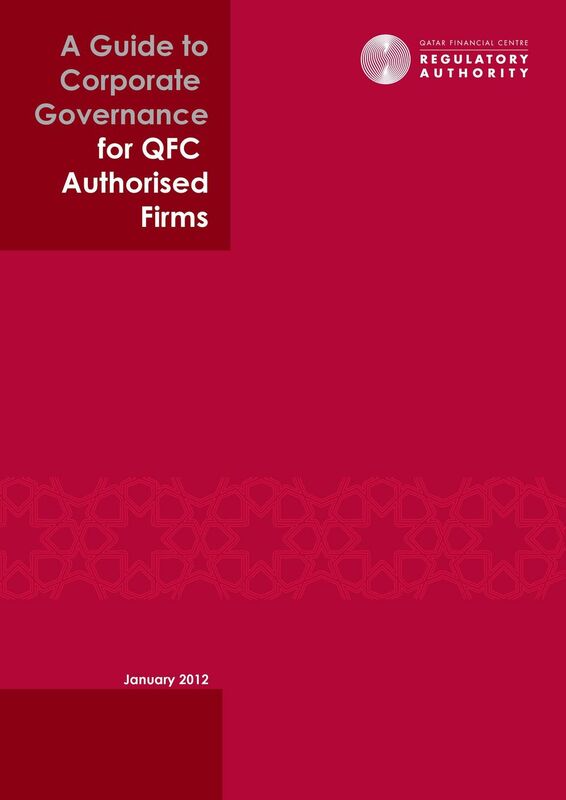 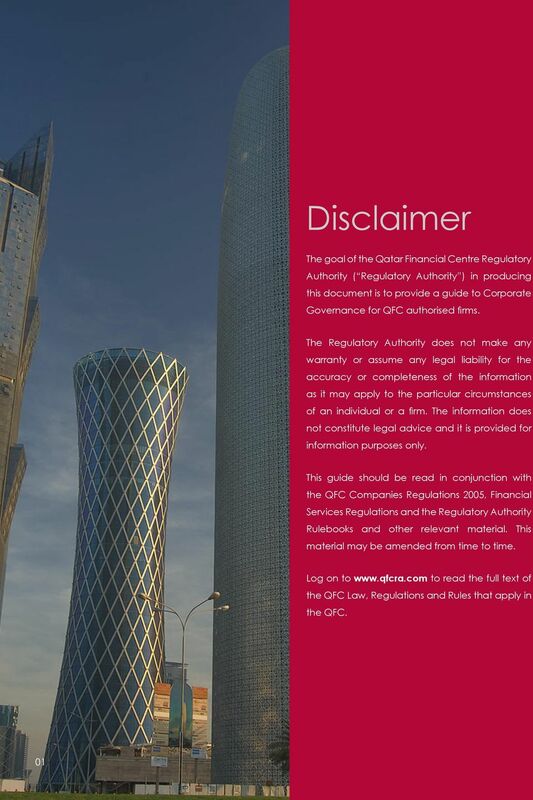 Download "A Guide to Corporate Governance for QFC Authorised Firms"
10 To foster an adequate level of independence in character and judgement, firms are expected to appoint independent Directors to the Board where it is appropriate to the size, structure and risk profile of their business. 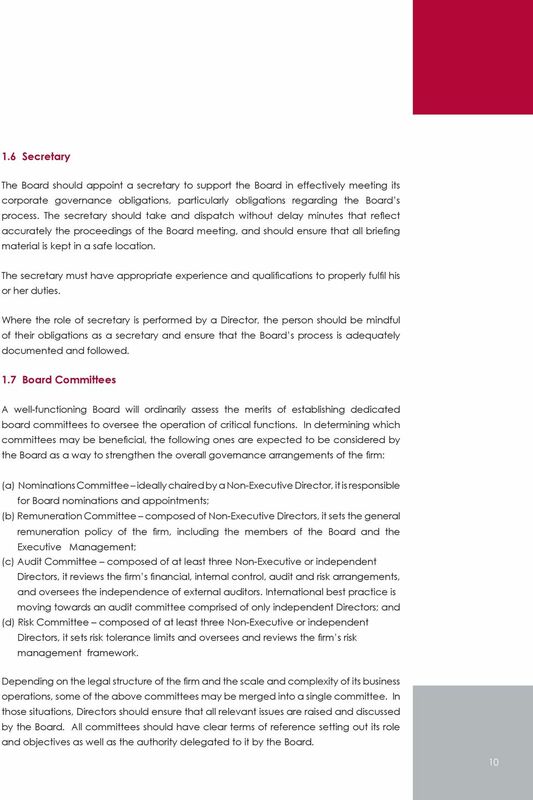 Independent Directors ideally bring different and relevant expertise to the Board s business discussions, thus encouraging a productive exchange of opinions and views. 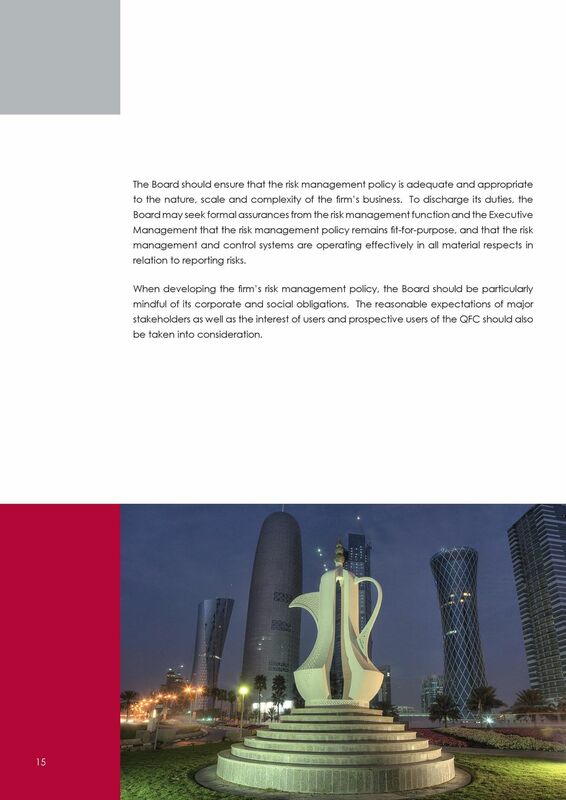 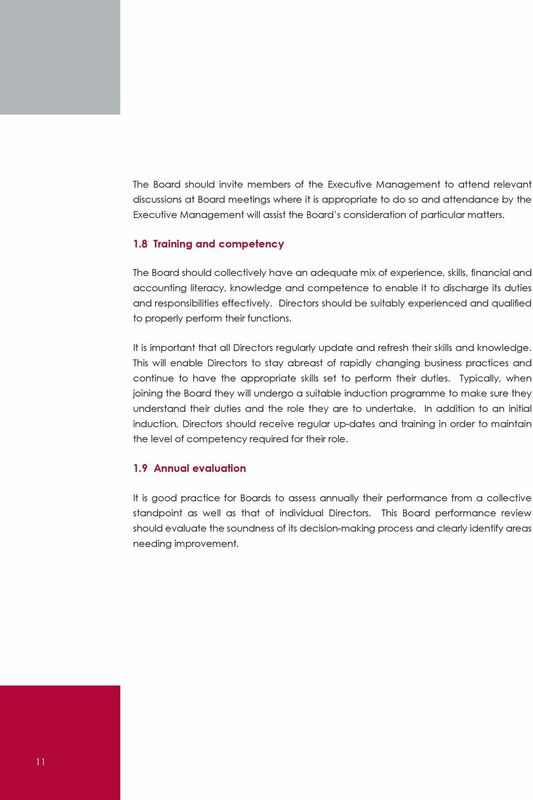 They should be allowed to engage proactively in all Board deliberations, with a view to leveraging their expert knowledge to challenge constructively the proposals put forward by the Executive Management. 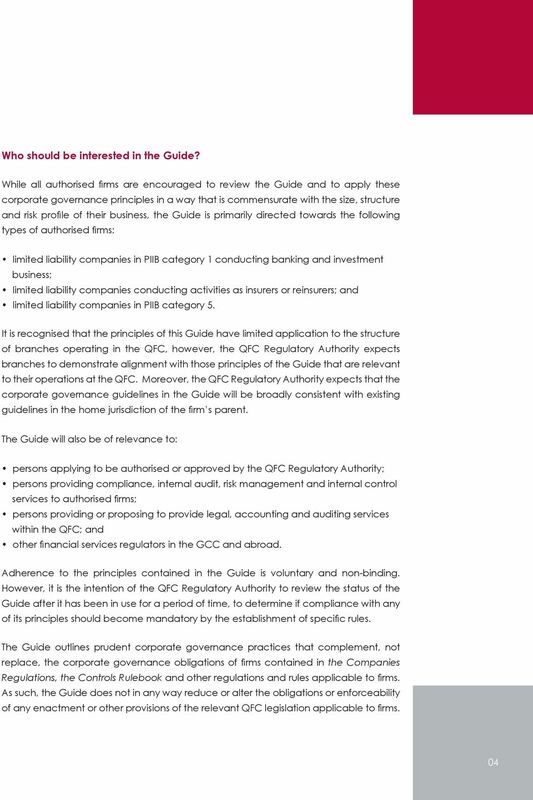 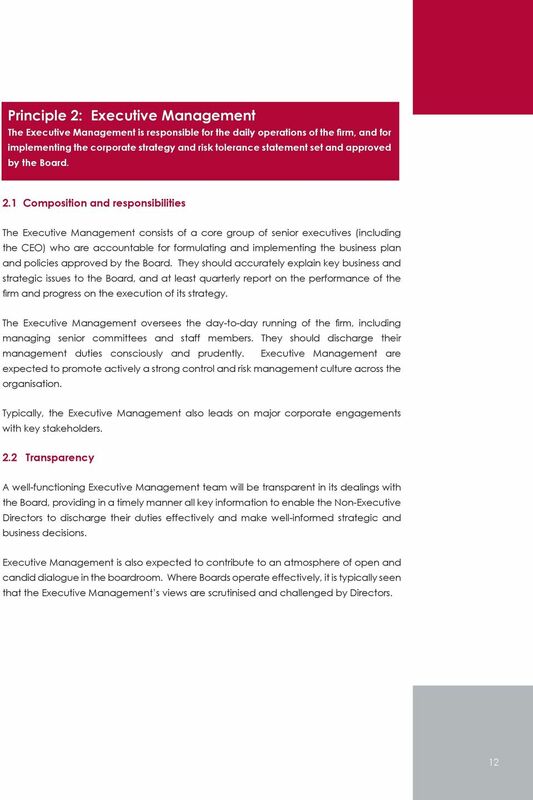 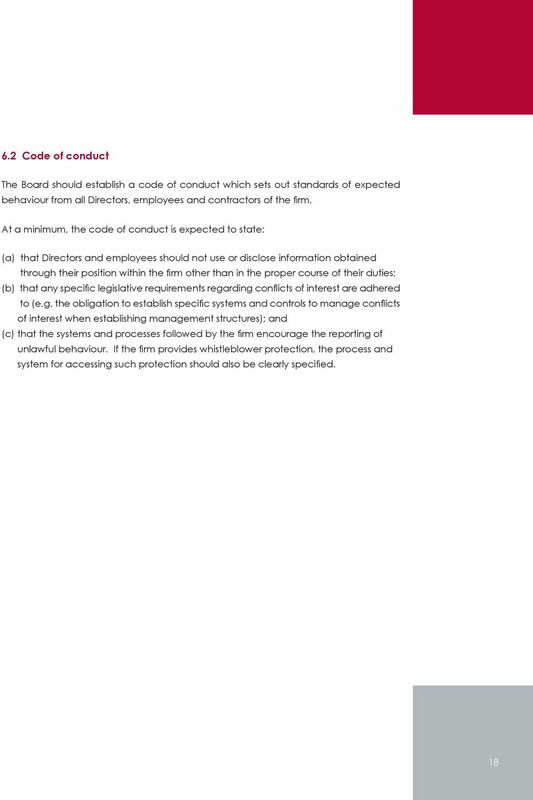 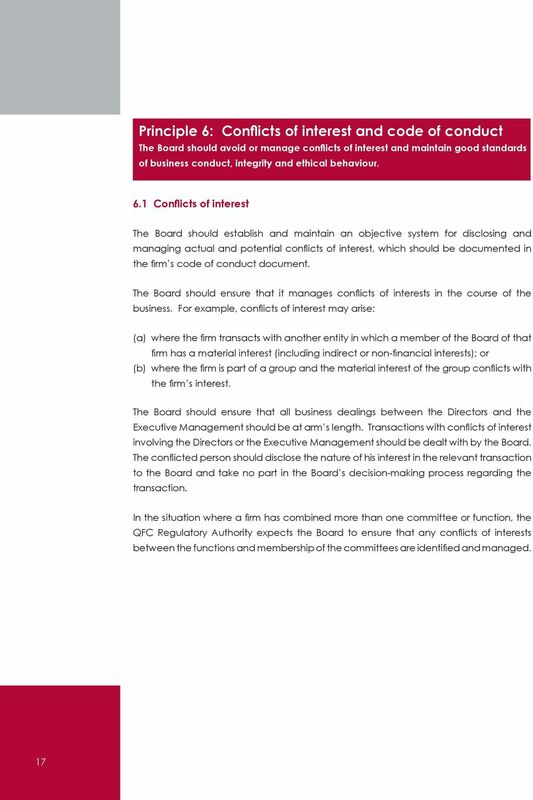 For the purpose of the Guide, the following examples illustrate situations where a Director would not be considered independent: (a) the Director is or has been during the last three years: an employee of the firm; an employee or Board member or owner or partner or controller of a consultant to the firm (including the external auditor); or an employee of a legal entity where a senior executive of the firm or any one of his or her relatives or any other person who is under the control of either of them is a member of the Board, or a senior executive, or a controller of that legal entity; (b) the Director is the relative of a member of the Executive Management; (c) the Director or one of his or her relatives has or has had in the last three years direct or indirect substantial commercial or financial transactions with the firm; (d) the Director is receiving or has received during the last three years substantial compensation from the firm other than compensation as a Director; or (e) the Director has been sitting on the firm s Board for more than nine consecutive years. 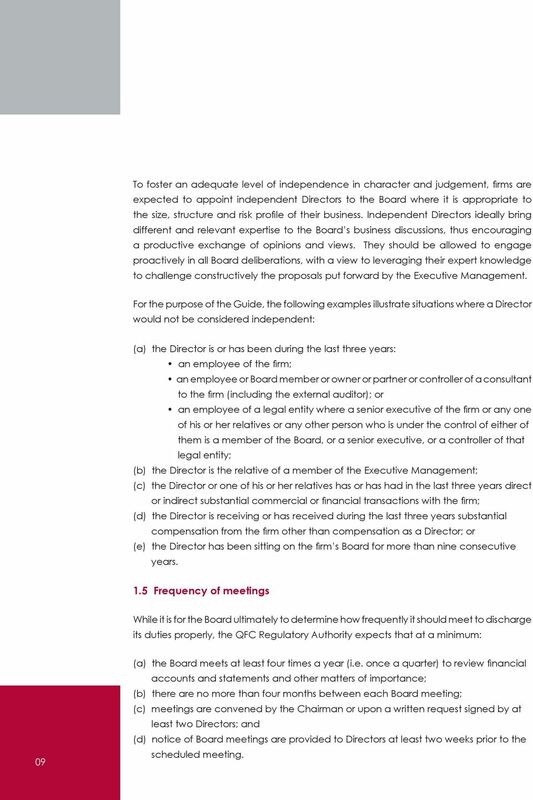 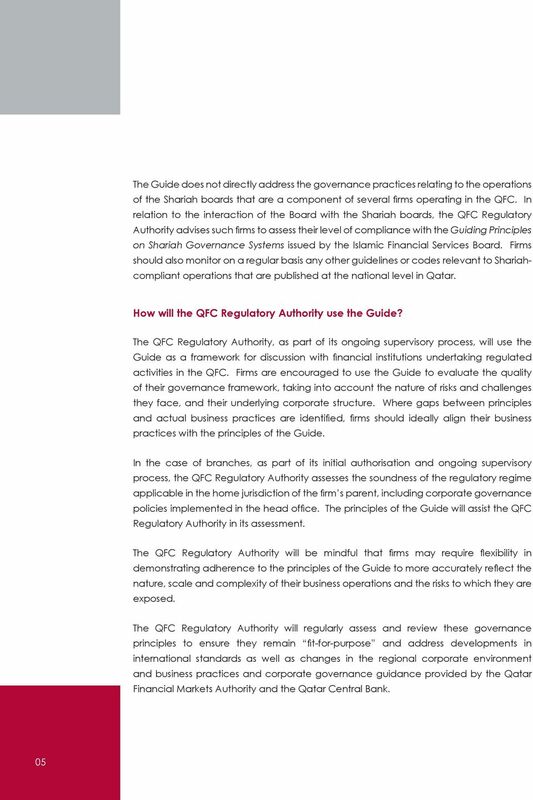 1.5 Frequency of meetings While it is for the Board ultimately to determine how frequently it should meet to discharge its duties properly, the QFC Regulatory Authority expects that at a minimum: 09 (a) the Board meets at least four times a year (i.e. once a quarter) to review financial accounts and statements and other matters of importance; (b) there are no more than four months between each Board meeting; (c) meetings are convened by the Chairman or upon a written request signed by at least two Directors; and (d) notice of Board meetings are provided to Directors at least two weeks prior to the scheduled meeting.